Clarifications on appointment of Independent Directors under Companies Act, 2013. Pecuniary Relationship– The Act provides that an independent director should not have any pecuniary relationship with the Company, its holding, subsidiary or associate company, or their promoters, or directors. In this context, it is clarified that any transaction in the ordinary course of business at arm’s length price will not be said to have pecuniary relationship. Further, any sitting fees drawn by the director, reimbursement of expenses for participation in the Board and other meetings and profit related commission approved the members according will also be outside the scope of pecuniary relationship. Re-appointment of existing Independent Directors– All the existing independent directors will have to be re-appointed as independent directors in light of Section149(11) of the Act, which provides that “any tenure of an independent director on the date of commencement of this Act shall not be counted as a term under the new Act”. The same should be done by the concerned companies within the transitionary period of 1 year from the notification of rules. The rules got notified in Official Gazette on 2 April 2014. Appointment of Independent Director for less than 5 years: It is clarified that although the Act provides for a maximum tenure of 5 consecutive years in 1 term, companies may appoint independent director for a period lesser than 5 years. Further the Act provides that an independent director can hold 2 consecutive terms of 5 years each and can be re-appointed only after the cooling off period of 3 years. To illustrate this with an example, an independent director can be appointed for 2 consecutive terms of 2 years each and although the total tenure would be less than 10 years, the director can be re-appointed only after the cooling off period of 3 years. All the listed and prescribed companies should take note of the above. Author : Geetika Chandel –Associate at NovoJuris. 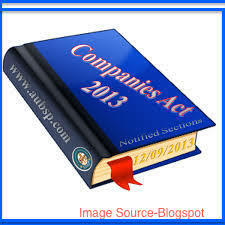 This entry was posted in Articles and tagged companies, companies act, the companies act on June 10, 2014 by novojuris.